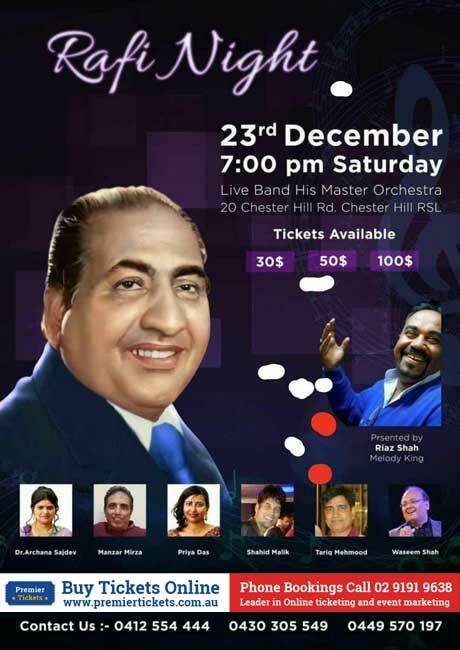 Riaz Shah the Melody King present Rafi Night on public demand. Premier Tickets Australia is proud to be the online ticketing partner for RAFI NIGHT @ 20 Chester Hill Rd, Chester Hill RSL. Contact us for any of your ticketing & marketing needs.